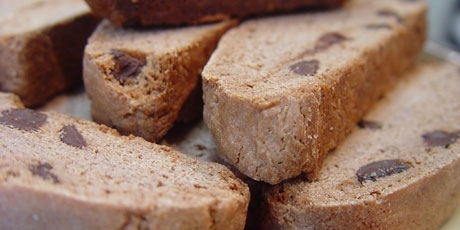 In Italy the biscotti reigns supreme. 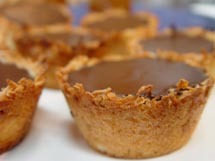 They’re a crunchy treat custom made for dipping in coffee. Cream the sugar and butter together in a stand-up mixer until light and fluffy. Add the eggs, one at a time and continue to beat for a few more minutes. Add the vanilla. Whisk together the flour, cocoa, baking powder and salt and add to the mixer. Combine well then stir in the chocolate chips. Shape the dough with lightly floured hands into a log, approximately 12-inches long and 3-inches wide. You may find it easier to divide the dough in half and form two shorter logs. Place on a parchment-lined baking sheet flatten slightly and bake for 30 minutes. Remove from oven and cool until you can handle it. Slice diagonally, into 1/2-inch slices and return to the baking sheet. Bake again until the cookies lightly brown, about ten minutes. Flip them over and brown another few minutes. Cool and enjoy with a cup of espresso! 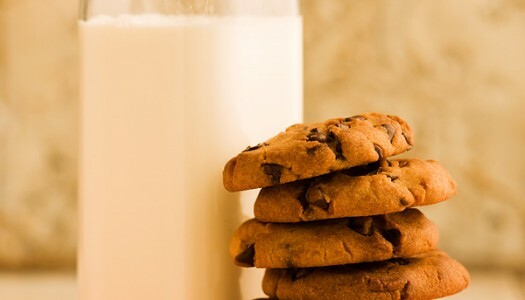 Every kitchen needs a gold standard recipe for chocolate chip cookies. This one has earned its stripes under fire, over many seasons, through countless licked spoons, spilled vanilla and extra chips in the batter. Its quick baking time is the key to addictively chewy cookies that friends and family won’t be able to resist.